Chili peppers in Australia have been turning black and rotting on the vine, seemingly without explanation. Now researchers have finally identified just what’s been killing these poor chillies. Initially the ailment looked a lot like a disease called anthracnose, which manifests itself as a series of black, sunken spots that frequently result in death. But when biologists tested for all known strains that had previously caused the disease in Australia’s chillies, they came up empty. So they expanded their range and identified a series of new pathogens also capable of causing anthracnose. The researchers detailed the new findings in an article in Plant Pathology. 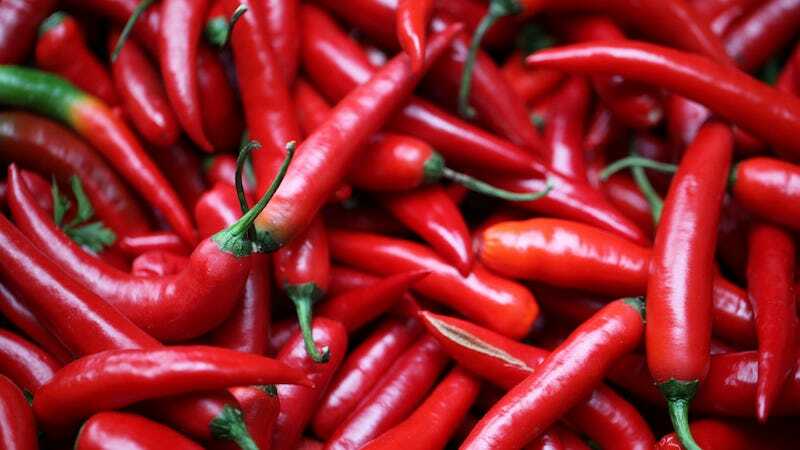 While one of the four strains afflicting the chili peppers has never been seen before, three of them have been found before in other fruits and vegetables. This suggests that the strains likely jump fairly easily between different crops, which is cause for concern. Anthracnose is found all over the world, including in the United States. It hits a variety of crops, ranging from tomatoes to trees. Usually cases of anthracnose can be resolved by spraying fungicide. But lately, researchers have been worried about the disease’s increasing resilience. The spread of new strains, and the ease with which they appear to jump between crops, could make fighting it off even tougher.